Many private/non agency projects that require production of specific road building aggregates are contemplated, bid, and successfully completed each year by DeAtley Crushing Service throughout the northwest. Annually, DeAtley Crushing Service successfully completes projects that involve production of road building aggregates and asphalt paving aggregates for numerous projects across the Northwest. Established in the 1930’s, DeAtley Company has been a family owned organization that is now in its fourth generation. DeAtley Company’s crushing division had over 40 years experience of providing rock crushing and stockpiling services while in operation, prior to the inception of DeAtley Crushing Service in July of 1999. 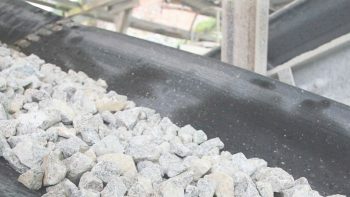 DeAtley Crushing Service has undertaken and successfully completed many private, state, and federal projects, and plans to continue to provide the excellent service it is known for well into the future. The company has various secured year-to-year crushing contracts with companies throughout the northwest to produce all of their inventory materials. DeAtley Crushing Service’s production of aggregates from our six portable plants is roughly 8 million tons annually. 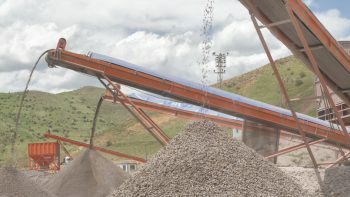 The goal of DeAtley Crushing Service is to continue to be the leader in the safe and efficient production of quality aggregates in the Northwest and beyond. DeAtley Crushing Service recognizes the importance of its employees and their well being. DeAtley Crushing Service feels it has the brightest, most capable, and most efficient people available in the aggregate production industry of the northwest states working for it, but is always looking for ways to better our people and our company. DeAtley Crushing Service is the full-time employer and supporter of over 100 employees and their families. South Eastern Washington's Best Source of Concrete and Aggregate Products. We Provide Excellent Customer Service, Quality Products and Unbeatable Prices.